Even though the hundreds of Audibel locations are spread out across the United States and Canada, this network of hearing professionals couldn’t be a closer-knit group. This group is so close that we have adopted a family mentality. Oftentimes these many ‘family’ members will help look after each other’s business in recovery times of severe weather or medical illness, as well as each other’s patients to ensure that anyone wearing an Audibel hearing aid receives optimal care no matter where in the country they are. Yet, this family mentality extends far beyond our group of hearing professionals to encompass each Audibel patient. Recently Audibel lost a family member, Ken Startz, co-owner with his loving wife, Kimballi, of Community Hearing Aids in Groton, CT, who truly demonstrated this unique characteristic to treat each patient as if his own family member. Though his time with Audibel was only a few years, he had an immense impact to elevate our unique spirit of camaraderie. 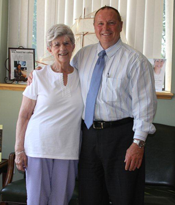 As you can see on the testimonial pictures to the right, and more examples found on their website page of he and his loving wife’s, Kimballi, hearing practice, Ken truly cared about his patients as if they were part of his own family. He literally welcomed his patients with open-arms and a smile. 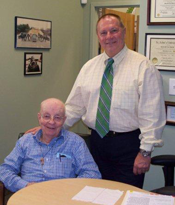 Ken’s impact in bettering his patient’s quality of life and to the Audibel spirit will be ever-lasting and not lost upon his peers that strive to provide similar excellence in patient care to their communities every day. At Audibel each patient truly is a part of our family. As our Founder, William F. Austin, often states, “Alone we can’t do much, but together we can change the world”, it reminds us to the purpose of the Audibel family in creating a better quality of life for each new patient. We invite you or a loved one to join our family. There are thousands of Audibel patients and professionals eager to welcome you to share in our passion for hearing excellence.